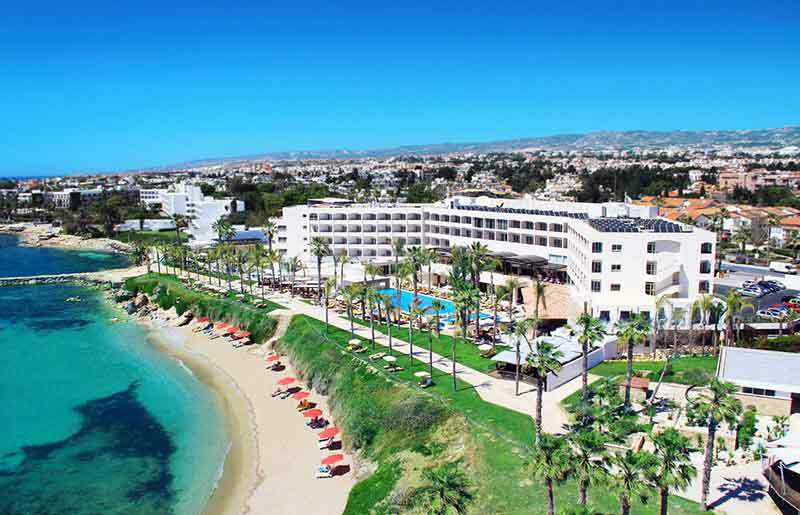 Alexander The Great Beach Hotel is one of the most well known hotels in Paphos which is contains around 200 bedrooms. The unique design and equipment of the rooms is one of the many reasons you will be amazed. Except from the excellent rooms, there are also other facilities which can be used like the massive outdoor pool, the pool bar and the various restaurants which provide a wide selection of food and tastes you can choose from. The hotel is located very near to Paphos port which is around 15 minutes walk from the hotel. You can also enjoy the sea and the beautiful sandy beach which is just 100m from the hotel. There is also a very beautiful path right next to the beach which you can use to walk towards Paphos port. If you are planning your visit to Alexander The Great Beach Hotel –> choose our excellent taxi service<– and be amazed!